Dr. Brian Golden is one of the very best Doctors I have ever seen. He has changed my life for the better in many ways. I was recently diagnosed with bladder cancer. My internal medicine doctor referred me to Dr. Golden. First I was given my first appointment date for 10 days out. I told Dr. Golden that if I do have cancer I really don’t want to wait 10 days to find out. His office called me back within 15 minutes and told me to show up tomorrow morning. After my cystoscopy he confirmed that I have a very large aggressive tumor and explained in detail how he was going to remove it. During the seven day wait for surgery I emailed the Doctor several times with questions and he returned the emails back within hours with the answers to my questions along with links to different medical journals where he arrived that the answers. When you have a life-threatening situation it is so important to these answers and get them timely. Removing tumors from the bladder wall is a delicate operation as the wall is very thin and if the doctors pierces the wall the cancer will move outside the bladder. If this happens I guess you better start getting things in order. However if you don’t cut deep enough the aggressive cancer will grow back and you start over. Fortunately Dr. Golden’s skilled hands removed the tumor. There where now ill side effect from this surgery at al. Three months later another cystoscopy showed that the tumor was gone and had not grown back. I have known friends that have had bladder cancer and they either were burned so bad from the chemo or it just didn’t work and the enviable happened. So as far as I am concerned Dr. golden gave me back my life and I will be able to see my Grandson become a young man. At the next follow-up Dr. Golden suggested a process that would take care of BPH , another condition I have had for years. Any man over the age of 50 knows what a problem an enlarged prostrate is. After another few week of several emails from me with questions, same as before they were all answered within hours with data to back up the answers. So Dr. Golden preformed the procedure and it was absolutely painless with now ill effects at all. Within three days I could urinate like I was 20 again. Bottom line is this man is my savior and I own him my life. I know that I could never re-pay him for what he has done so I decided post this letter so that others in this situation will know which doctor to trust. I recently had a vasectomy and like most men was extremely nervous about the procedure. After my procedure with Dr. Golden I realized I stressed for all those weeks for nothing. The procedure was absolutely painless and was over before I knew it. When Doctor Golden said we were all finished I was shocked as it was over before I knew it. He provided a very relaxed atmosphere. I highly recommend Dr. Golden. I have had the misfortune of being attended to for BPH by another urologist who's only concern was the number of patients he could see in a day rather than the quality of service he should perform. Six weeks ago I had Green Light Laser surgery performed on me by Dr. Golden. It's the best thing I ever did. All my BPH symptoms are gone and I've had the good fortune of establishing a relationship with a doctor who really cares for his patients. My name is Debbie, and I am a 56 year old grandmother. When I had severe abdominal pains recently and ended up in the Hospital, Brian Golden was my doctor. 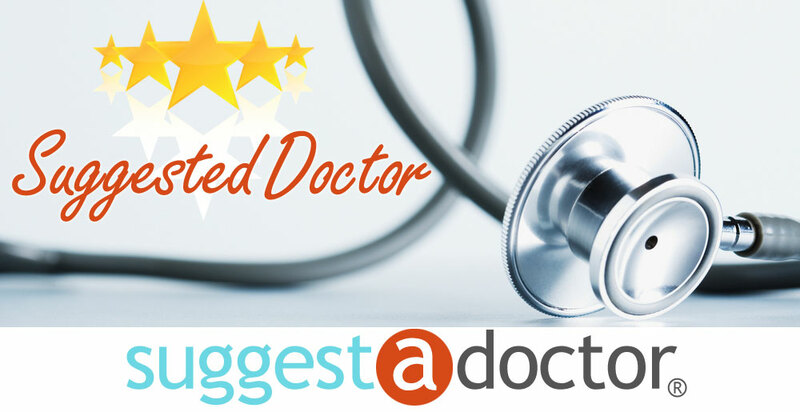 I was amazed to discover that he honestly cares about each of his patients, and goes above and beyond the basic care I’ve come to expect from doctors. It was obvious that he listened and worked with me in choosing a treatment plan. He explained my options, told me what he would recommend in my case and answered my questions in easy to understand terms. He was very calm and reassuring, and I trusted him immediately. After discussing the pros and cons of each procedure, we decided to take the least invasive plan. Dr. Golden threaded a laser up to my kidney and chipped away at the huge kidney stone. I went in for outpatient surgery. EVERYONE involved came in to talk to me. It was like a meet and greet. When it was time for my surgery, I knew everyone in the room and felt the respect and compassion. While I was waking up, I could hear the nurse talking to me, gently encouraging me. Over the last few weeks, I have had a stent from kidney to my bladder. It has only caused minor discomfort, but is necessary until the lithotripsy procedure to hopefully shatter the rest of the stone. I am extremely satisfied with Dr. Golden and highly recommend him to ANYONE needing a urologist. Please do your best to get through Jessica and the terrible office staff. Dr. Golden’s bedside manner and knowledge are amazing and well worth it. I encourage everyone to tell the office manager about any experiences with the horrible front office staff. The doctors in this office should not have to apologize for the staff’s sloppy indifference. All of those doctors deserve a lot more respect and assistants of much higher quality. I'm a 54 year old male with BPH Dr. Golden and staff did a great job. He took his time and explained the procedure of the Green Light Laser. I was in and out of surgery and home within four hours urinating like a young man. Some soreness some blood clotting but no major pain. Thanks Doc. Just had my vasectomy performed by Dr Golden on Thursday. If asked if I would recommend him I would reply, "I already have." My brother has been looking for a local urologist to perform his vasectomy and he has decided to visit Dr Golden. If you live in Las Vegas and are looking to get a vasectomy Dr Golden is your best option! Thank you Dr. golden for most of all your compassion and your understanding as a doctor. I came to see you when I was noticing a problem with leaking urine. Anytime I would bounce, sneeze, jump or run I would leak not only a little urine, but sometimes a lot. You suggested having a hammock and sling placed to lift and replace my bladder where it should be and place my urethra in a position where I would not leak urine. I am now 8 weeks post operation. I am starting to work out and feel great again. I knew at my young age of 44, I did not want to live with this my entire life. Thanks for a job well done. Now you have limited my exercise excuses. lol God Bless. Here is my story. In December a tumor was found in my right kidney with an ultrasound screen. After a Cat & Pet scan, Dr. Golden diagnosed me with renal cell kidney cancer. Not the greatest day of my life. He decided that the kidney was savable and would attempt to remove it with the DaVinci Robot. Dr. Golden added that their may be a possibility the entire kidney may have to be removed once he got in and had a better look around. We discussed all the aspects of the procedure and I agreed. At the time, there were only 2 in Southern Nevada, so the surgery was scheduled for late April. What an amazing machine. I went on Youtube and saw a number of procedures and demonstrations. It was going to be as if I had a Transformer as a surgeon. The actual time of surgery was delayed until later in the evening on it’s scheduled day. DaVinci surgeries take a bit longer than tradition procedures but the recovery times are amazingly short. I get out of surgery and sent to recovery at 2 am the following morning. The kidney was saved and the tumor removed. I had some discomfort, but no real pain. Here is the truly unbelievable part of the operation; I was discharged at noon the next day. Only one day in the hospital and I was able to recover at home with my own books, TV, music and movies. Unbelievable! Dr. Golden is the best at what does. This note is my thanks to Dr. Golden for saving most of my left kidney. My story is a little unusual, since I had already lost my right kidney to cancer in 2002. That whole kidney was removed in a traditional operation through a long “shark bite” that was awfully painful and took several months to recover from. Recently my doctor found a new tumor in my left kidney (the only one I have left!). I was scared I would need this kidney removed, then be hooked up to a dialysis machine for the rest of my life. The urologist who took out my right kidney years ago recommended Dr. Brian Golden. My primary doctor rated Dr. Golden as “EXCELLENT” which of course influenced my decision, but the deciding moments were when I actually met and discussed my case with Dr. G. He showed me my CAT scan and the tumor. He described the operation using the da Vinci robot (robotic partial nephrectomy) and showed me how much of my kidney could be saved. He had a very reassuring bedside manner, was confident (but not arrogant), and answered all my questions. He made me feel comfortable that I’d found the right surgeon for my terrifying situation. The surgery went great! MY KIDNEY WAS WORKING JUST AS WELL AFTER SURGERY as beforehand. The few little incisions weren’t very painful and I was out of the hospital in just a day and a half. When I saw Dr. Golden after surgery, he said the pathology report said all the cancer was removed. My primary care doctor was absolutely amazed at my speedy recovery and the difference in my incisions for the right and left kidney operations! IF YOU HAVE KIDNEY CANCER, GO SEE DR. GOLDEN. I’M EXTREMELY HAPPY AND THANKFUL THAT I DID. NO DIALYSIS FOR ME! Yeah!! Dr Golden performed prostate surgery on me in Dec, 2008.
during a somewhat stressful period in my life. Dr. Golden treated my kidney stone. It is obvious that he knows his work....but what I also liked about Dr. Golden is his great bedside manners.. Dr. Golden is very professional. He explained exactly what the treatment for my kidney stone would involve. I highgly recommend Dr. Golden to anyone that needs his service.